Western Breach Route Kilimanjaro Climb is one of the least crowded routes and one of the most fascinating. This is by far best non-technical route on the mountain and our summit day is only a 1 to 2 hour hike from our last camp. One of the best features of the route is the longer, slower ascent which gives the body time to acclimatize to the altitude gradually- this greatly increases the success rate. The final night before summit is spent sleeping in the crater next to the towering Furtwangler Glaciers, giving you a stunning view westward towards Mount Meru and the setting African sun. The final ascent is then only 195m and can be undertaken after sunrise and a leisurely breakfast or just early enough to be at the summit during sunrise. This is quite a contrast to the 1200m log required to summit via all other base camp to the summit. Day 1 to Mti Mkubwa camp 2650m: After breakfast in the morning we will drive for 2 to 3 hours to Londorosi gate where we will do registrations and get entrance permit then we will drive again for 1 hour to Lemosho starting point where we will get off from our jeep and have picnic lunch. 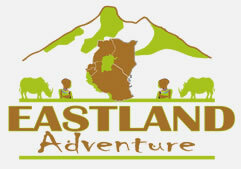 After lunch we will meet all our crew including rest of guides, cook and porters and we will start our hike crossing rain forest for about 3 to 4 hours to cover the distance of 7km to Mti Mkubwa camp. On the way we will see a lot of beautiful flowers like impatients Kilimanjari and if you will be lucky you might see black and white Colobus monkeys and other forest wildlife. Day 2 to Shira 1 camp 3610m: Today it will be one of our beautiful hike about 6 to 7 hours including lunch stop to cover the distance of 7km and after 2 hours walk we will be in the moorland zone on the west side of Shira plateaus where you will be able to see old lava flows and we will enjoying the sun and walking slowly more breaks for acclimatize until we arrive at our camp for overnight. 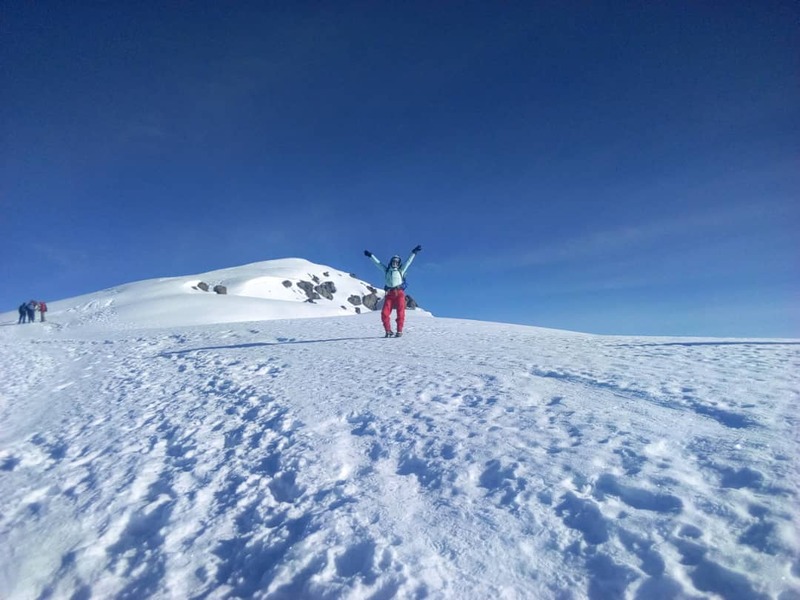 Day 3 to Moir hut 4200m: Today we will hike for 4 to 6 hours to cover the distance of 9km also we will cross the middle of Shira plateau a world heritage site to our picnic lunch at fishers point. After lunch we will walk for 1-2 hours hiking through moorland zone and arriving to our beautiful overnight camp located at the base of massive lava flow. Day 4 to Lava tower camp 4600m: Today we will be a short hike about 3 to 4 hours walking for a while before getting to alpine desert then lava tower, a 150m high volcanic lava plug that juts out of the side of mountain. We will arrive at lava tower for lunch and after lunch we can rest for few hours before wake up earlier evening for acclimatization walk and back to our camp for early evening appetizing hot drinks and snacks before dinner and overnight. Day 5 to Arrow Glacier 4800m: Today is very short day about 2 to 3 hours to cover the distance of 3km we will climb to the base of the route where we will camp near Arrow Glacier. Today we will spent mostly resting and conserving strength, but we will also do an afternoon hike partway along the final climbing ascent route thus will get us to high elevations for better acclimatization and give us a chance to familiarize ourselves with the beginning of the toughest hiking day of the whole climb. Day 6 to Crater camp 5700m: Today we will wake up early in the morning for breakfast and ready to start hike by 5pm. We will wind our way up the western breach non-technical climbing route. The first part is covered with a lot of screed or lose rock with the final part of the trail be steep rocky slopes which you will need to use your hands to navigate the sections and using rocks for hands hold. We will spend 6 to 7 hours to crater camp where we will have hot lunch and rest for few hours, We will have an optional hike to explore the inner crater and ash pit, this is raised circular inner rim, the inside of which slopes down to a flat floor and then 200m deep inverted cone at the very center of the volcano also Kilimanjaro has one of the mostly perfectly formed volcanic ash pit of any mountain in the world. Day 7 to Uhuru summit (5895m) and Descend to Mweka hut (3100m): Today we will have early breakfast and start our ascent to the summit early enough in the morning to be on the summit by sunrise. This final ascent to the summit is about 195m but very tiring .The beginning part of the trail is very soft, loose, dusty screed and very few steep rocky scrambling to the top, followed by relatively flat terrain about 250 yards to Uhuru sign. This quite difference compare to 1200m long required to summit from other base camp, the reward of seeing the summit crater glaciers and standing of Africa highest peak are well worth the efforts. At the summit we will spend 10 to 15 minutes for view and pictures before start 2 to 3 hours descend to Stella point then Barafu camp where we will stop for resting and brunch then we descend to over night at Mweka hut. Day 8 to Mweka Gate 1640m: Today after breakfast you will meet your crew for Kilimanjaro pictures and group photo, afterwards we will start descending down via rain forest about 3 to 4 hours to cover the distance of 10km, also if we will be lucky we might see blue monkeys and black and white Colobus monkeys as well. At Mweka gate we will Sing out in Kilimanjaro national park log book and collect our certificate and drive to your hotel in Moshi for long hot shower and Kilimanjaro beer.